You want to have a scar just like Harry, we get it, we do too. But don’t worry, you need not survive an encounter with You Know Who to get that signature lightning bolt. 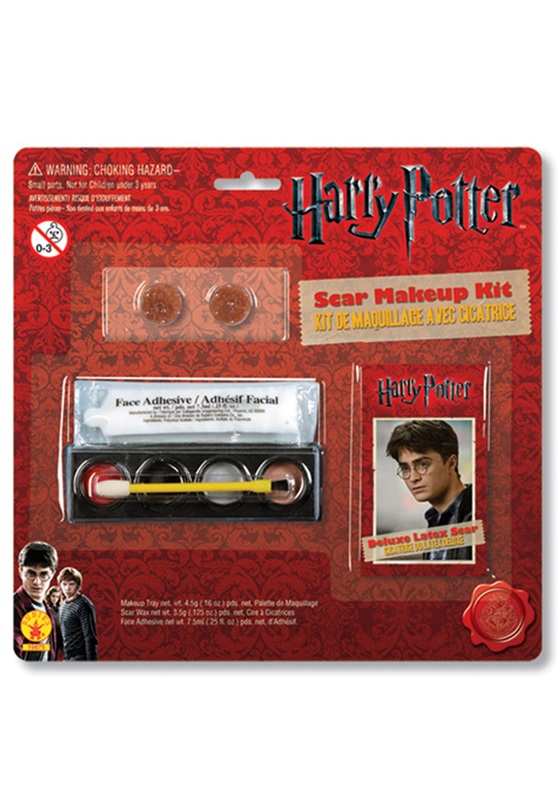 With this Harry Potter makeup set, you are able to have a realistic scar, without the unrealistic expectations! 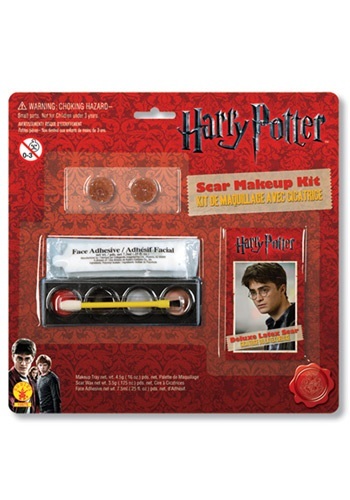 This officially licensed makeup kit has everything you could ever need to add a convincing scar to your Harry Potter ensemble. Not only does this kit come with instructions for an easy application and painless transformation, it’s affordable price will also save you a trip to Gringots – but honestly, any price is better than a run in with He Who Must Not Be Named! Now just add a pair of glasses and a magic wand and you are all set to make a little magic this Halloween!